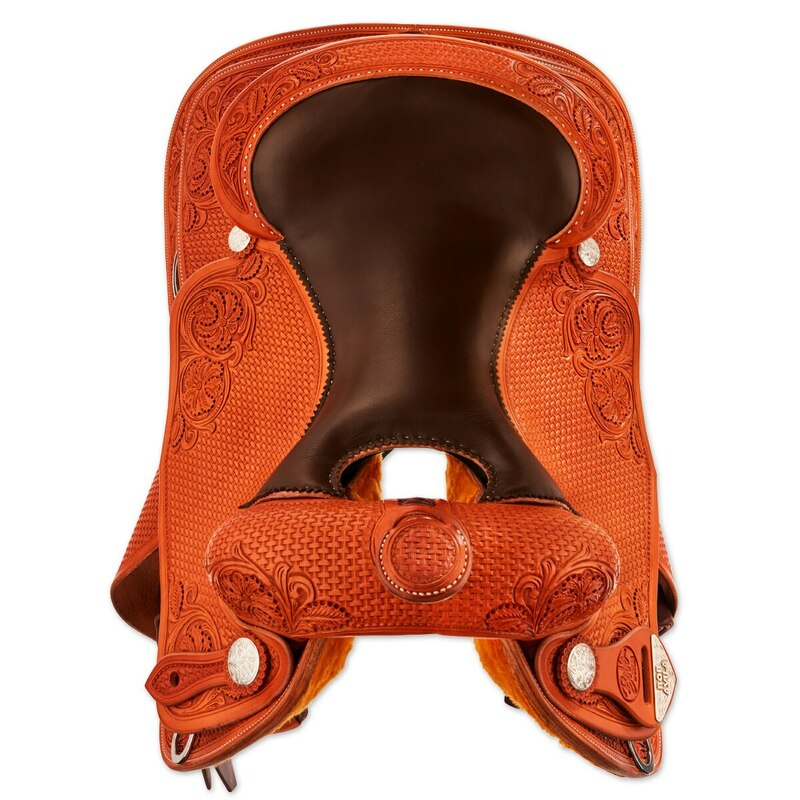 This Bob's Custom Saddles Bob Avila reiner was designed and is ridden by multiple NRHA and NRCHA Futurity and Derby Champion, mulitple AQHA World Champion, NRHA Million Dollar Rider, and NRCHA World's Greatest Horseman Bob Avila. Designed with input from Avila, this saddle has been one of our top-selling saddles for over 20 years. 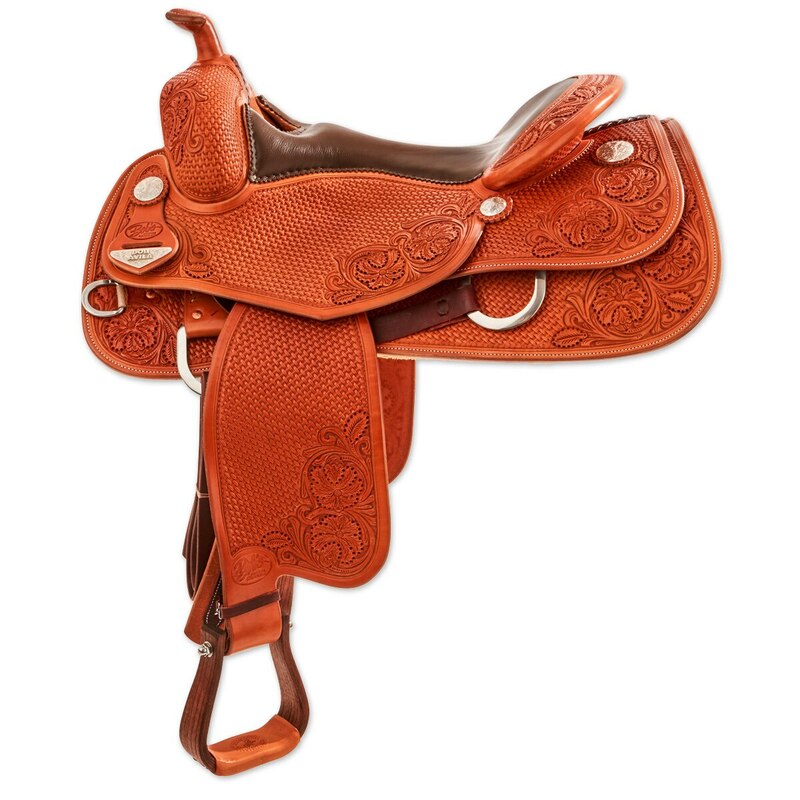 This saddle's timeless design features a stylish reining skirt, as well as the popular mid-rising double padded DL seat, and a 3" cantle. From the tree to the ground seat and fenders, this saddle was designed for a well-balanced, close-contact ride. 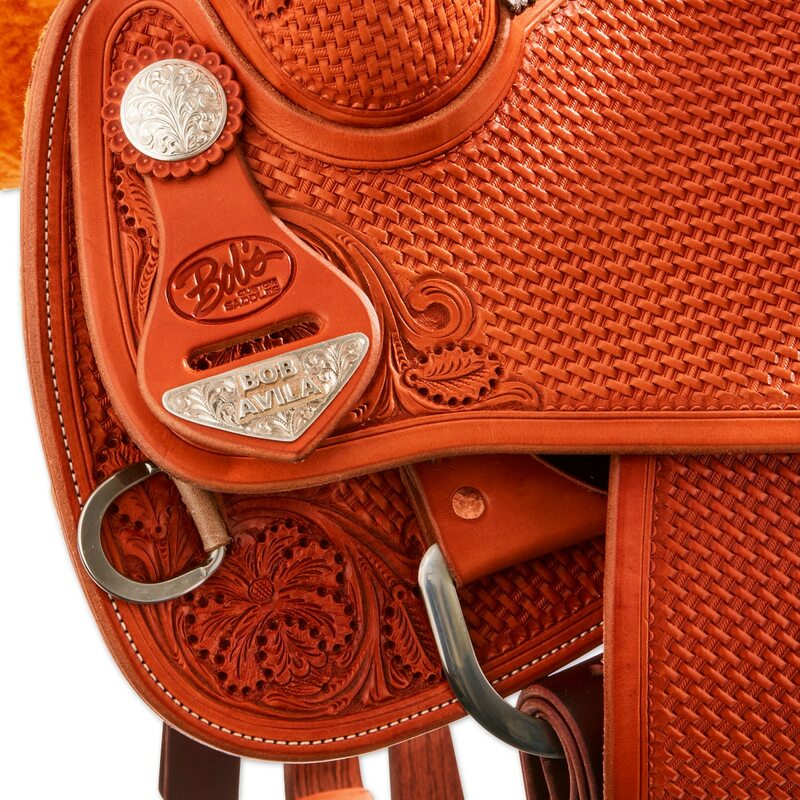 For over 40 years, Bob's Custom Saddles have been hand-crafted using the finest raw materials by lifelong artisans. 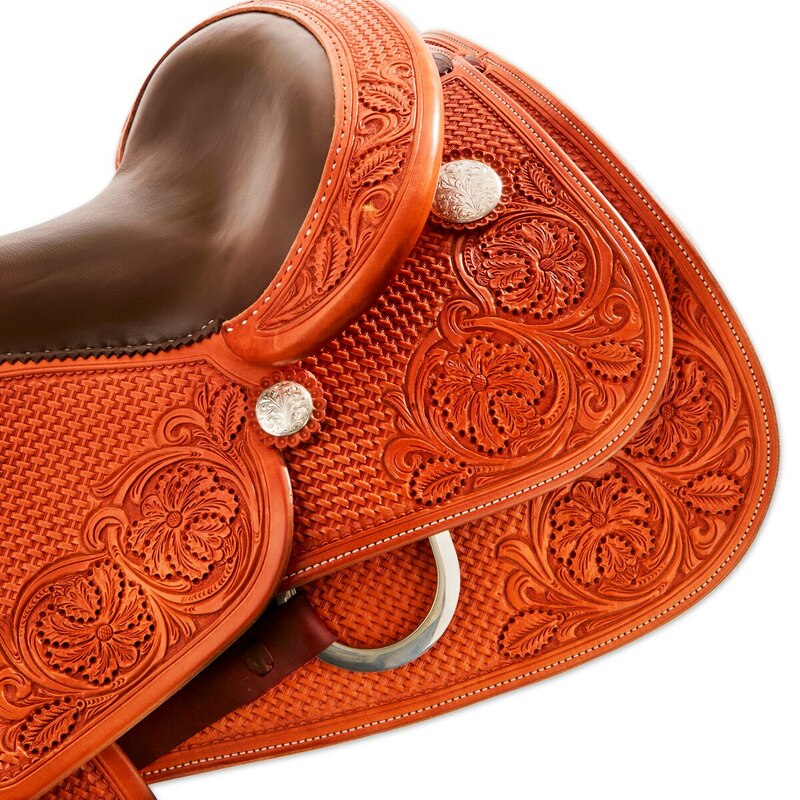 Superior quality, craftsmanship and performance have made Bob's Custom Saddles the preferred choice of premier horsemen from around the world. Each saddle is custom built for your order. Please expect 8-10 weeks for delivery. SIZE: 15.5", 16", 16.5", 17"